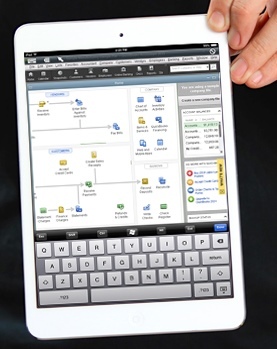 iPad Cloud Computing Just Got Better! Cloud9 Real Time has announced the release of C9 Mobile, its new mobile app download via iTunes that delivers true iPad Cloud Computing by giving users access to all of their desktop software applications via iPad or iPad Mini. …… See also – iPad Your Practice for Productivity! C9 Mobile enables the Cloud9 platform for iPad users to easily access their hosted applications, connect with tech support, submit tickets, add users, etc. C9 Mobile debuted at the Sleeter Solutions 13 Conference in Las Vegas earlier this week. C9 Mobile provides iPad and iPad Mini users with access to the full desktop version of their applications while on the go. 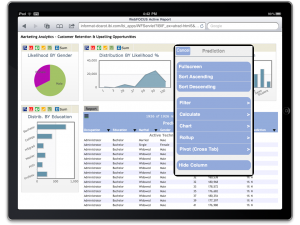 With over 500 applications hosted and/or integrated the combinations are endless for users. iPad Cloud Computing has arrived! Cloud9 virtual server hosting with iPad Cloud Computing supports the full desktop versions of QuickBooks with Cloud functionality as well as the full line of Thomson Reuters, CCH, Sage and Intuit products and other proprietary and commercial software. Cloud hosting is an increasingly popular solution for SMBs that need anytime/anywhere access to their mission-critical applications and data. Via iPad Cloud Computing, C9 Mobile users may login from iPad or iPad Mini with internet connection anywhere in the world at anytime, while enjoying bank-level security protocol. Moving to the Cloud also saves businesses money by reducing the cost of IT labor hours, capital investment in hardware, software licensing, backups and maintenance. Remember us: Cloud9 Real Time is an Accredited Managed Service Provider delivering dynamic Cloud Solutions for Anytime, Anywhere access. Licensed by both Intuit and Sage for Commercial Hosting and offering a customized, privately labeled all-in-one virtual office solution. Voted best cloud hosting company by the CPA Practice Advisor Readers in both 2012 and 2013, Cloud9 Real Time provides clients a secure and private cloud solution. Notably recognized with the 2013 Sleeter Awesome App Award, the 2012 UP Award for Best Cloud Hosting, and the K2 Enterprises 2012 Quality Award. Get a demo, a free trial or a custom quote for your business and find out what all the excitement is about.